Hebron resident, Rabbi Simcha Hochbaum (Rav Simcha) is the Director of Tourism for the Hebron Fund. Originally from Staten Island, NY, Rav Simcha has lived with his family in Hebron for nearly 25 years since making aliyah (immigrating to Israel). In his tour, Rav Simcha is able to take 3,8000 years of history and expertly educate and inspire everyone on tour. Whether its children or adults, participants of various faiths or levels of Jewish observance. He offers spellbinding stories of the foundational figures of the Jewish people and an insider’s perspective on the deep history of Hebron from ancient times until today. He has guided upwards of 100,000 people over the years on the Hebron Fund tour. Rav Simcha’s tours typically include the Cave of the Patriarchs & Matriarchs, the Tomb of Ruth and Yishai, Tel Hebron Archaeological Park and Neighborhood, the Avraham Avinu Synagogue, Beit Hadassah, and the Hebron Museum. The feedback is phenomenal! Rav Simcha also guides individuals, families and groups in the Old City of Jerusalem every week (generally Tuesdays) and runs other trips throughout Yehuda & Shomron. His love for these regions is apparent, as he brings out the holiness and special grace of Israel, connecting people to the Bible and to their roots. 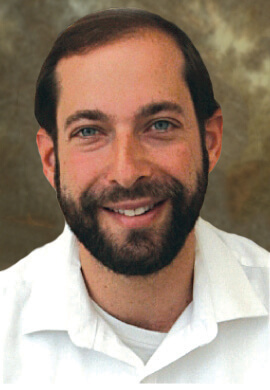 Rav Simcha is a popular Rabbi among students in Yeshivat Reishit Yerushalayim, Machon Ma’ayan Seminary and various other seminaries in Israel. Whether it’s your first time or hundredth time, Rav Simcha is looking forward to guiding your family soon and creating memories and connections that last a lifetime!